Rare moments when colour-blindness is a virtue. Didn't even notice it was pink. Just out of curiosity: what color do you perceive it to be? It would be rather ironic if it were silver! I... actually don't mind the pink. Initially I was like, "Woah, wtf is that?" but having got past the surprise, I think it's actually quite nice. Curious as to how it will appear on-track. It does remind me a bit of a pink lemonade bottle, though! That picture is a render, so how much different will it appear in a real is anyone's guess? It's going to be a matte finish as well. I don't quite see what was sexist about Hulk's comments... he could have said the same thing if the car was painted 'tweed' or 'tartan', I suppose that would be 'Gentriest' or 'Scottishist' would it? I think he was just being sarcastic as he holds the team in high regard. Has anyone said it is? I don't really see what's sexist about suggesting pink is a colour more associated with ladies anyway? Perhaps not on here, but I imagine there are people on Twitter/Facebook who have claimed he was being sexist. Whether ALESI was referring to those or not I can't say. Personally, I think he was just poking fun at a livery I guess he doesn't particularly like. Hell, maybe he was just poking fun at it even though he does like it. Just a bit of playful fun; nothing more, nothing less. Thank god for social media, what point would there be to be offended at just about anything without it. Indeed... precious little bastards. And YES indeed someone/several people did make a fuss that he was being sexist. Bravo Mercedes. Made me smile. I'm not particularly fond of it (which is likely mostly because I dislike pink), but at least it does stand out. I suppose if they already knew this was in the works that may be why the livery they ran under during testing seemed a bit hastily tossed together -- they expected not to keep it. That's what I felt. 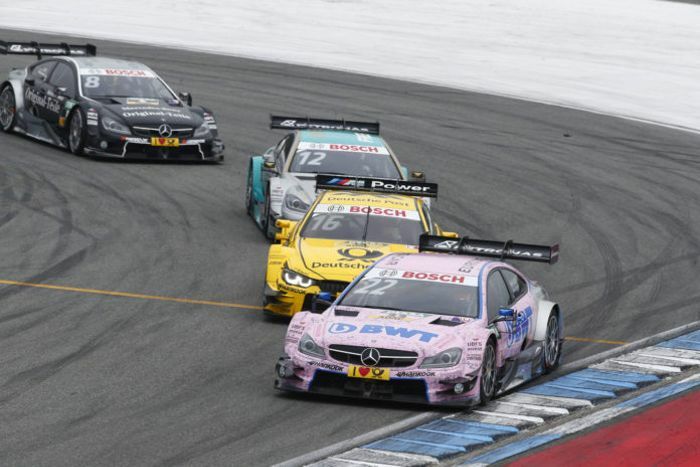 They were aware that the livery will be overhauled completely. 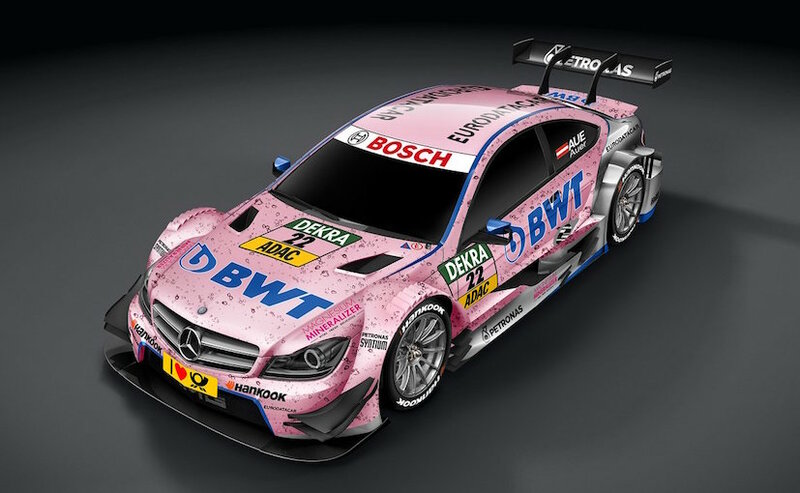 So why make the testing livery appealing or more polished? I really want to see the car in reality. The colour shade may look different & with the matte finish, may look appealing to many. I like it in the picture there but I've seen that livery on track in other pictures elsewhere and it actually looks a little dull. Needed a stronger shade of pink really. That makes me like it even less! They are Roninson's of Worcester trucks - a transport company specialising in animal feed. Last edited by Argentum on Mon Mar 20, 2017 9:38 pm, edited 1 time in total. But surely, the shade should be a little darker. Yeah, I like the render more. On track they look too pale; hopefully Force India won't have the same problem. 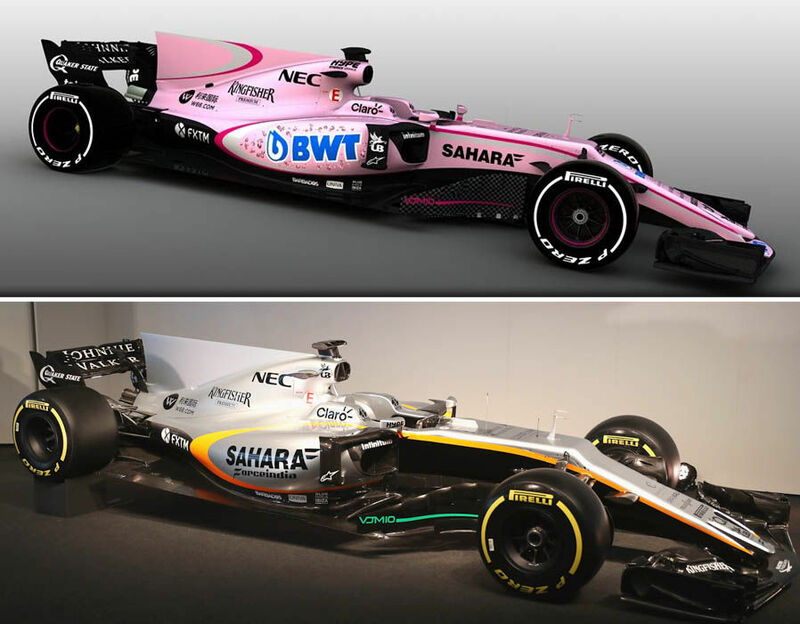 I feel the shade of Pink would be the same on the Force India car. Isn't the shade of Red always the same on the Ferrari through the years? Changes now and again. Much deeper red in 07/08. Also changed quite a bit from 95 through to 97. Interesting. A co-worker of mine is colour blind and also had trouble seeing the pink. He actually held up the photo on his phone and asked us how much of it was pink. He also had trouble seeing the grey stripes beside the red. They look a little green to him. I find the whole field of colour perception captivating. Many people find it intriguing, but just as I can't fathom what colours really look like, I can't properly describe the way I see them. 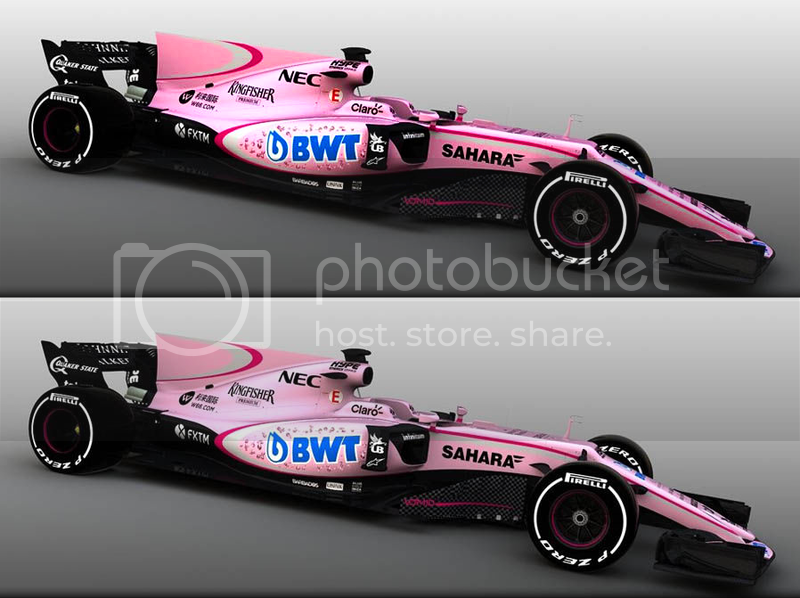 So wait, do you see this pink livery more or less as the old livery looked? More or less yeah, although when I look at them side by side I can notice the difference in colour somewhat. 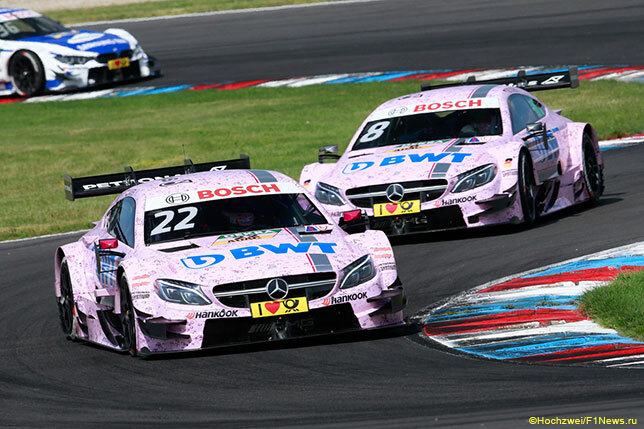 So did I read correctly that both drivers will have pink helmets too? I dislike that. I know the numbers will be visible and a part of the top crash structure/engine intake is differently coloured, but generally helmet colour (lol) is one of the the main things I use to determine which driver I'm looking at. Only thing I dislike is the BWT logo. I just think it's ugly looking. I don't see any grey stripes. Then again, my colour vision is pretty crappy according to my optician. And it stands out also because the other logos are Black. Again, BWT coloured logo must be a part of the deal to make it more prominent. Last edited by UnlikeUday on Sun Mar 19, 2017 9:57 am, edited 1 time in total. p.s. Hopefully it's not sexist to say that a girl watches and plays with barbie stuff, since apparently anything except 'I like it' seems to be! One comment was sexist. Most negative comments have been fine, as is yours. The weak or pale shade of Pink is what keeps it from being more appealing to the eye. generally outside of wall colors or perhaps boats, pale shades tend to not draw the attention of our brains. And as of the last 5 or so years even boat manufacturers have begun to paint their boats with very rich colors, though the traditional pastel options are still available for the purist boat aficionados. Here's a quick down and dirty adjustment I mage to the livery sitting above the original, and even this slight little tweak makes it so much nicer. As for Ferrari's shade of red being the same year after year… YES, most definitely. The actual color is Scarlet Red and it is most often called Ferrari Red, and the genuine stuff is not cheap! My dad was driving my brother's car to work and some rich guy smashed him in the right rear quarter panel but luckily the guy's brother owned a body shop that specialized in repairing and refinishing Supercars and he had the stuff on hand and offered to re-paint my brother's car (which was already red) in Ferrari Scarlet Red. The little pint was several hundred dollars! I've seen almost every Ferrari F1 car at a local Ferrari store here and they've all been the exact same color as my brother's old car, but depending on lighting and light intensity it can seem a bit more crimson or red-orange. It's such a rich tone of red that it will seem to register differently like that and photography is all over the place because different cameras and different lenses interpret colors and detail differently, not to mention that every photographer prefers different settings. According to this Wikipedia article (not the gospel, I know, but I do think they're right in this case) Ferrari red was different from 1996-2007 in an effort to compensate for television screens, but since 2007 they have gone back to the traditional Rosso Corsa for every season. As for the cost of the paint, that's the Ferrari name you're paying for right there - I don't think there's actually anything special about it!